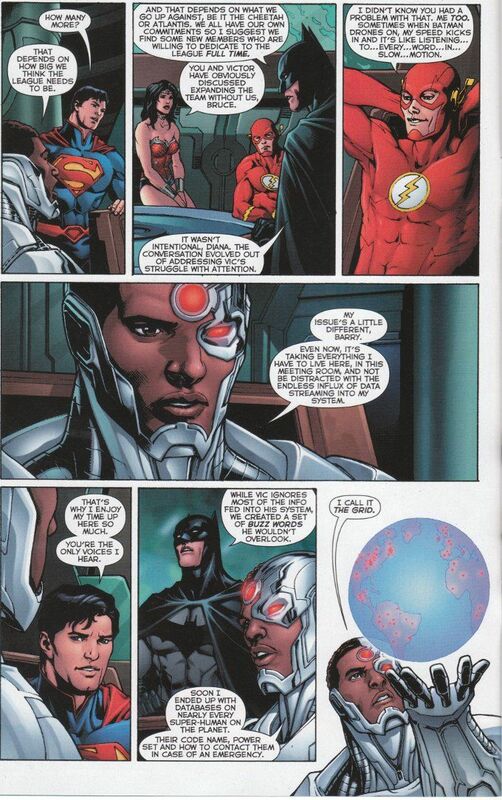 It is an odd thing that Justice League #18's greatest strength is also its' greatest weakness. The early scenes where the core members of the Justice League are discussing recent events and their need to expand the team in the wake of some extensive disasters are well-paced character-building moments. Yet the later scenes - where the potential recruits are brought in to mix and mingle with the team - seem rushed and forced in comparison. There are too many players on the stage in this moment and it proves beyond even Geoff Johns' ability to balance a large ensemble to manage these moments. The back-up story involving the origin of Shazam continues to limp along. I'm still not fond of this revamp of the classic Captain Marvel concept but there are some good moments here - chief among them the scene where Billy's foster brothers and sisters go searching for him to offer an encouraging word. I wish Johns would decided on a tone for the series at large, as the opening scenes with the villainous rich man Mr. Bryer are far too melodramatic to be taken seriously in anything other than a classic Captain Marvel comic yet the general tone of the series has been darker and grittier. While I may grouse about the stories, I cannot complain about the artwork. Everything here looks gorgeous. 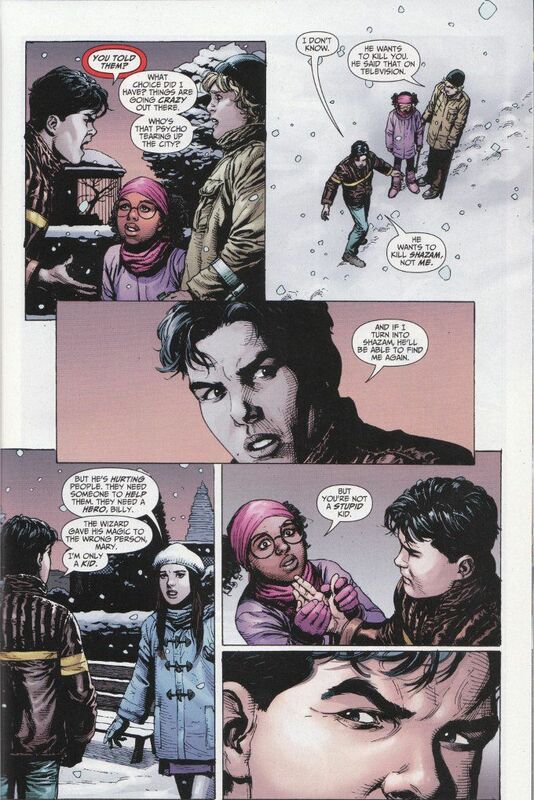 Gary Frank makes Shazam appear far better than it has any right to. And Jesus Saiz, who illustrates the Justice League section of the book, deserves to be assigned to one title rather than doing fill-in jobs on a variety of books.